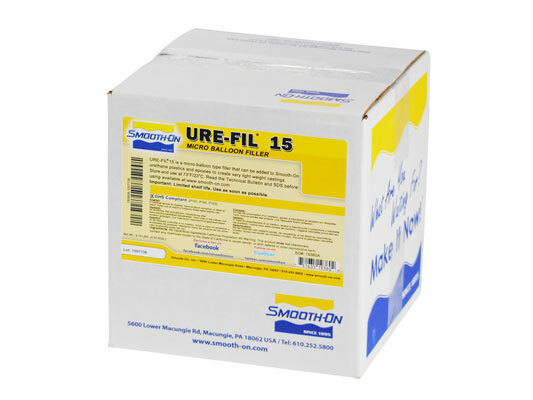 URE-FIL® 15 Product Information | Smooth-On, Inc.
URE-FIL® 15 - micro-balloons that can be added to Smooth-On urethane plastics and epoxies to create very light weight castings. Castings which float on water can be created by using proper proportions of URE-FIL® 15. A casting resin filled with a large proportion of URE-FIL® 15 can be described as a ‘syntactic foam’ . Syntactic foams are non-expanding foams which are stiffer, stronger and more water resistant than water-blown expanding urethane foams of the same density.